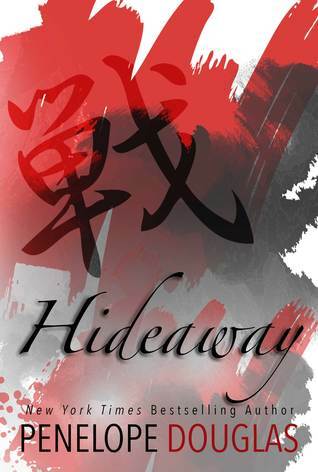 *Hideaway is a romantic suspense suitable for ages 18+. While the romance is a stand-alone, the plot is a continuation of events that began in CORRUPT (Devil's Night, #1). It is strongly recommended that you have read Corrupt prior to reading this. If you haven't read CORRUPT, then I suggest you do not read my review as it will contain spoilers for CORRUPT. And if you haven't read CORRUPT, what the heck are you waiting for?!!! This series contains strong sexual content and also some some scenes that may be triggers to some readers. Have you ever read a book reeaalllllyyyy slow just so it wouldn't end? But you were conflicted because you wanted to read faster because you wanted to know what was going to happen? Well, that was my dilemma with Hideaway. LOL I loved EVERYTHING about it. I loved the characters, Penelope's writing, the smutty scenes (the closet scene hehe), and of course, the twists. Penelope just knows how to keep us hooked the entire time and then just leaves us wanting more at the end. The wait for Kill Switch is going to be BRUTAL! We also get to see the other characters from Corrupt. I am now really intrigued by Will. After what Damon did to him, he just hasn't been himself and has spiraled out of control. I really hope we get more of Will in Kill Switch. The Devil's Night series is dark. it will push your limits and take you on a crazy ride. These boys, well, men, are intense and I LOVE them!! So if you are looking for a great drank romance and suspense series, The Devil's Night is for you! I promise you will fall in love with it!